Hong Kong VPS server hosting have long been perceived as one of the routes in which organizations can lessen IT expenses and increment operational effectiveness. By disconnecting applications and projects inside of one Hong Kong Virtual Server put aside exclusively for your business they are a decent alternative for organizations obliging elevated amounts of protection, security and control. Hong Kong vps servers are virtualization of dedicated servers where those web clients who are not fit to manage high cost of dedicated servers can strive for VPS and get complete root access of server. Site crash, slow speed, load offset Issue are a percentage of the variables which are confronted by sites when they are developing. Host your VPS with us in Hong Kong and appreciate the most ideal unwavering quality, speeds and peering in the Asian region. Onlive Server Hong Kong VPS gives you quality hosting. What is special in Hong Kong VPS Hosting Server? 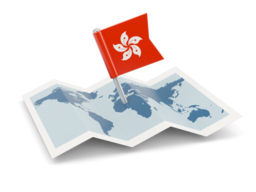 From Starting today you can place your orders for Hong Kong VPS Hosting plan in our Hong Kong data center. Onlive Server offers you Hong Kong VPS Hosting Servers at a very affordable price for their customers with a server of good quality and reliability and we also give root access permission to you so that you will have full control over your server and you can install or uninstall any software which you want according to your requirement like you usually do in your mobile, PC or laptops. We are very stable with our servers are provide you servers of all size business purposes as well we have our own datacenter in Hong Kong so you are not going to face any problem regarding your server. Due to the nearer data center, you will get a High-Quality Network for your server. Our Technical support team will monitor your server whole day and provide you a better security and during any problem you can contact us anytime as our helpline is always open for you and they will respond you as possible as they can. you can contact us via telephone or email.